The months following an Olympic games are a time of transition. As a competitive athlete, it is not uncommon to feel a sense of loss – even if you have won a medal. 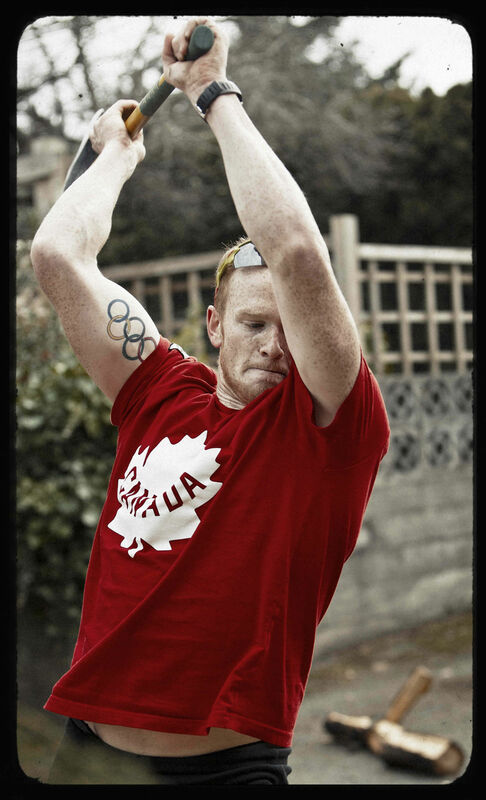 Following the 2004 Olympics, in which Canada’s national men’s rowing team finished a disappointing fifth place, it took more than half a year before I felt confident setting goals again. Since retiring from competitive rowing following the 2012 London Olympics, I have found myself searching for new goals as I step into new roles as a father, husband and homeowner. 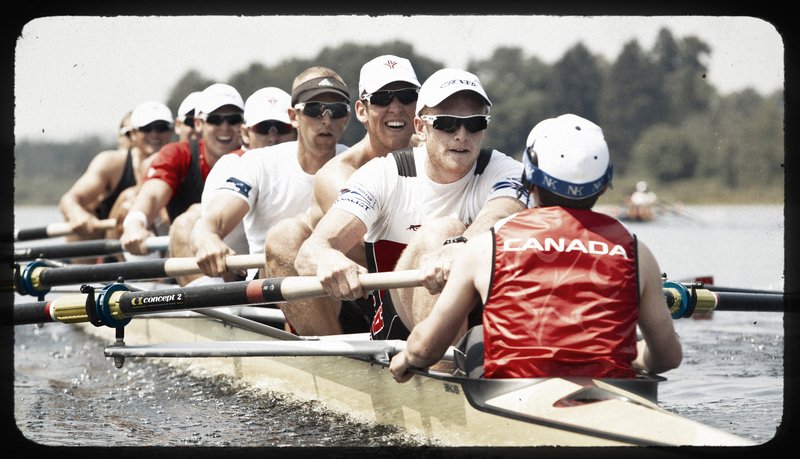 At the same time, I am watching the next generation of Canada’s rowers emerge – and I’ve got a front row seat. 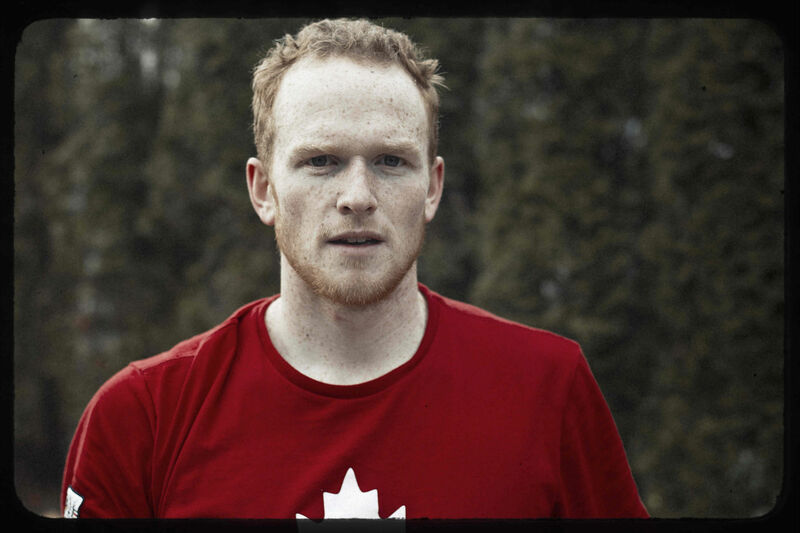 Living in Victoria not far from Canada’s national rowing centre, I share my home with current national team member and Olympic silver medalist Will Crothers. 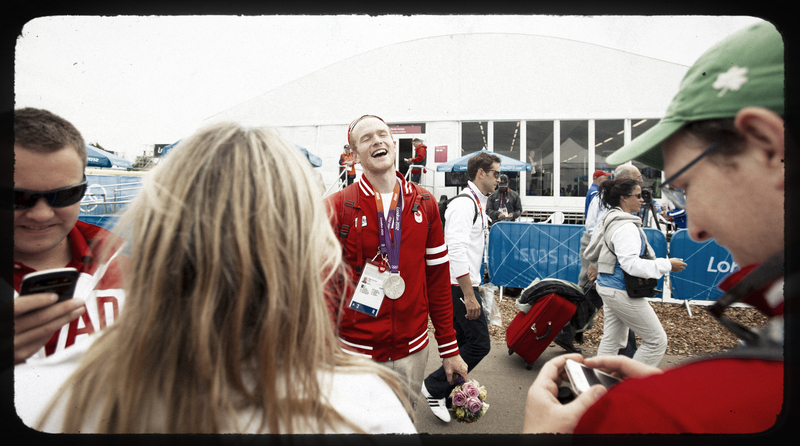 Will Crothers celebrates on the dock after the Silver medal in the men’s Eights at the 2012 London Olympics. 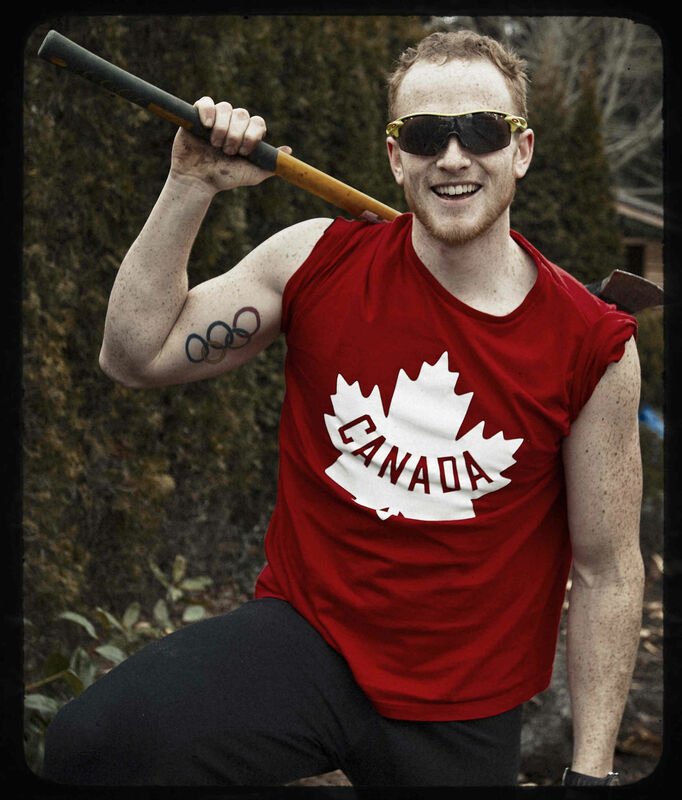 On training camp in Burnaby B.C. one week before leaving for London. Reacting to friends and family following his Silver medal win. As I transition from my vantage point as an athlete to one of an observer and mentor, I am watching Will follow a path that many Olympians have tread over the years – training long hours, eating and breathing the sport, and living far from where he grew up. It’s been a long journey for Will to get here, but I was reminded recently that sometimes it is the little things that keep us connected to home and the family and friends that helped us along the way. 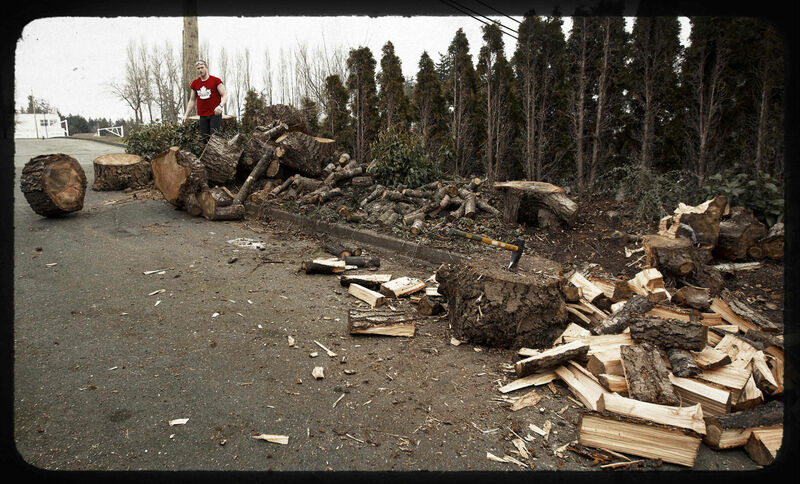 On a cool but bright Victoria Sunday morning, I was chopping wood when Will pulled into the driveway. The logs were large and – being an inexperienced woodsman – I was holding the axe delicately as though the 100-pound rounds of wood would magically split themselves. Each time I struck the metal wedge I had hammered into the wood a loud pinging noise rang through the neighbourhood. Will rolled down his car window and, trying to contain his laughter, asked if I was trying to build a railroad. Having just rowed 28 kilometres and still wearing his sandals and tights, without hesitation Will stepped out of his car and proceeded to give me a much-needed tutorial on wood chopping. Will swung the axe with such skill and precision that my role was soon relegated to carting the wood down the driveway and onto the woodpile. 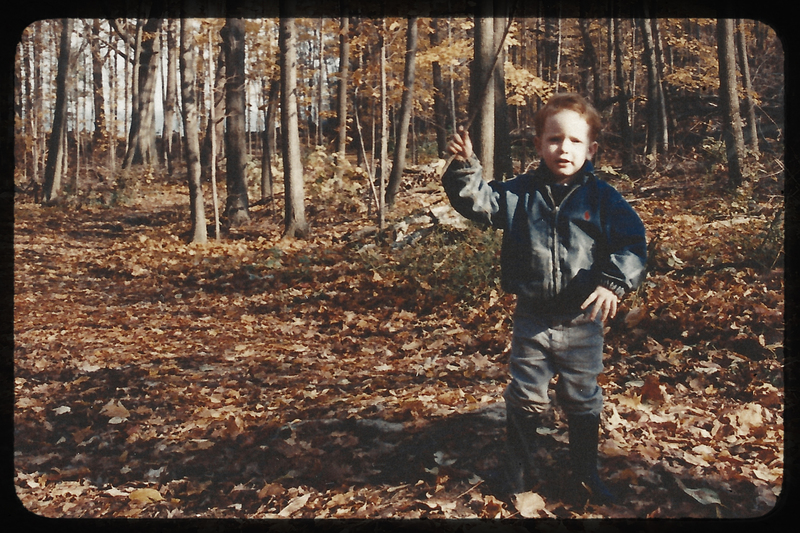 I soon learned that chopping wood is a part of Will’s past – something that brings back vivid memories of his childhood. So I put down the axe and picked up my camera. I took a few photos as he chopped away, avoiding the flying bits of debris, and then we sat down to talk. I grew up in Kingston, Ontario, and I remember travelling to Wolf Island where my grandparents and uncle had cottages. Wolf Island is a 20-minute ferry ride from Kingston, right at the mouth of the St. Lawrence River and the Great Lakes. 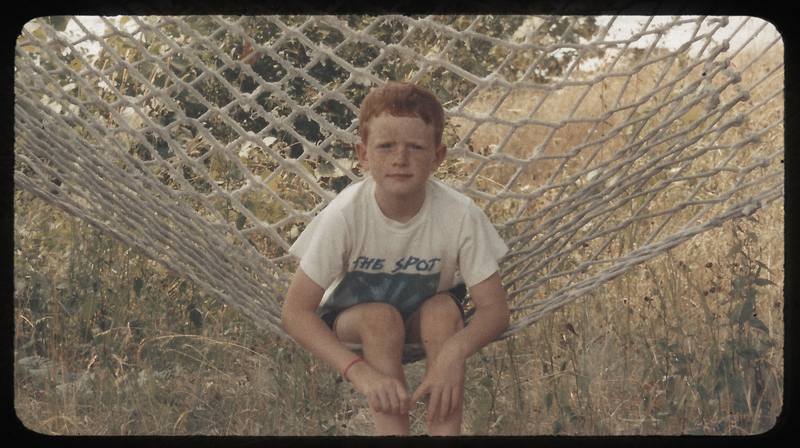 Sitting on his Grandparents hammock on Wolf Island. My grandparents had a couple of acres. It was all filled with trees and people would come and get their Christmas trees from them. I have a lot of great memories from there. 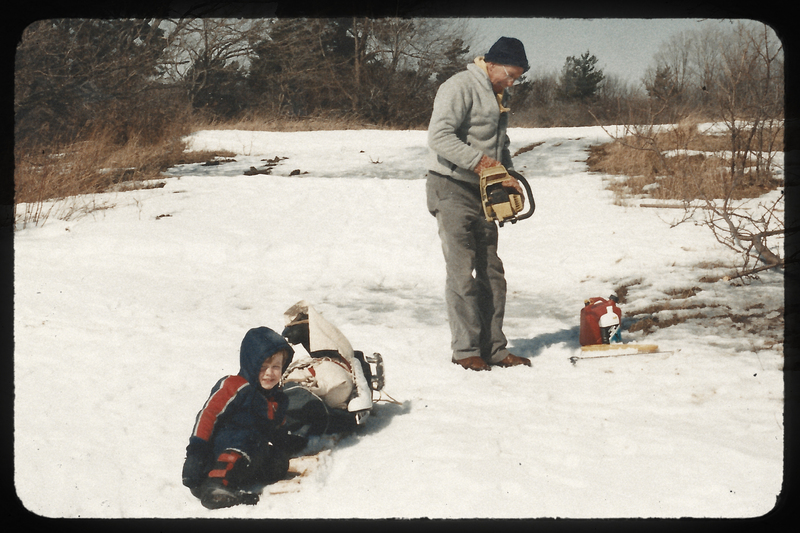 WIll learning valuable chain saw lessons from his Grandfather in search of the perfect Christmas tree. 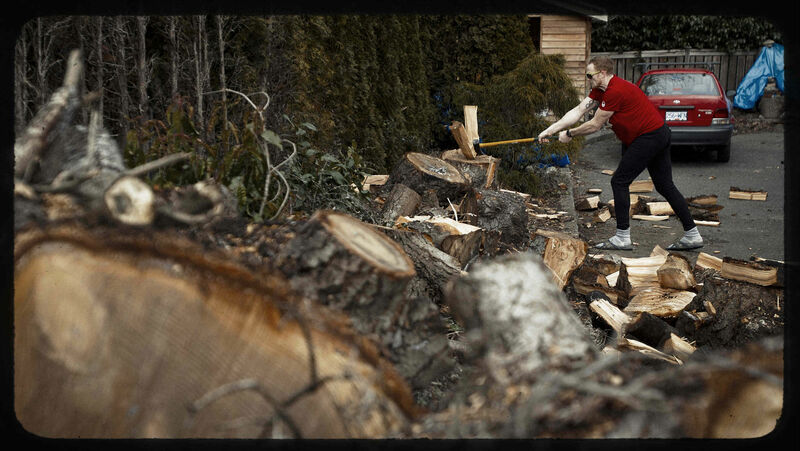 What do you remember about chopping wood as a child? My grandparents needed wood to get ready for the winter, and I distinctly remember one day my Dad and my Uncle Gord and Uncle Sandy were chopping down a tree. They kept saying: “Don’t stand over there, that’s were it is going to fall!” My cousin, Max, my brother, Dan, and I stood and watched as this huge tree came down right where they said. They started going at it with chain saws and it was our job to run back and forth with sleds getting the wood to the cottages. It was pretty cool. I realized we were not just hauling wood, but doing work that would keep my grandparents warm throughout the winter. Will grew up outside never one to turn down an adventure on Wolf Island. 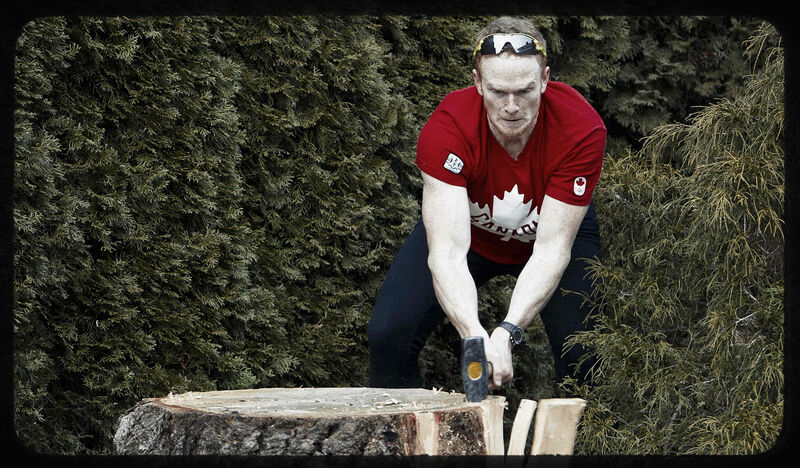 What’s the key to chopping wood? It terms of technique, it is important to know where to hit the wood and how hard to hit it. There isn’t too much to it, but if you don’t know those simple basics, then you can definitely make the job take a lot longer than it needs to. You always want to chop with the grain and never against it. 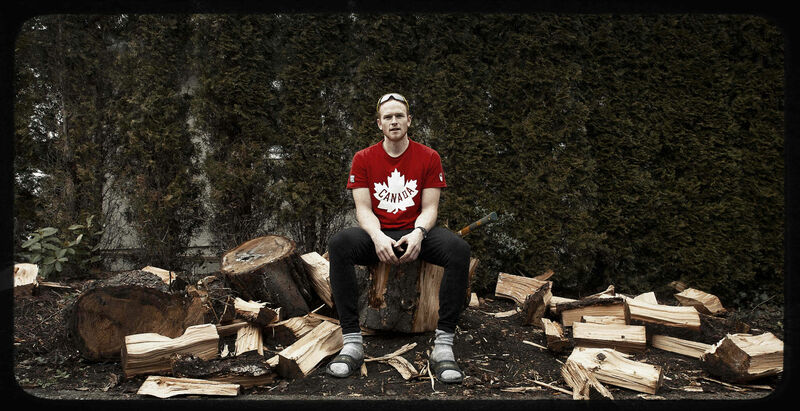 Why do you enjoy chopping wood? I enjoy it because I know I’m creating something that is going to create warmth later. The work you put in now will give you a lot later, especially in a harsh winter when you need the heat. Did you get to enjoy the warm fruits of your labour? Yes, I remember sitting around the fireplace and being asked to toss another log on the fire. That was always fun because I got to feel the heat on my face. The fireplace was also next to where my grandfather kept his candy drawer, and we would try to sneak candy like Werther’s and caramels. 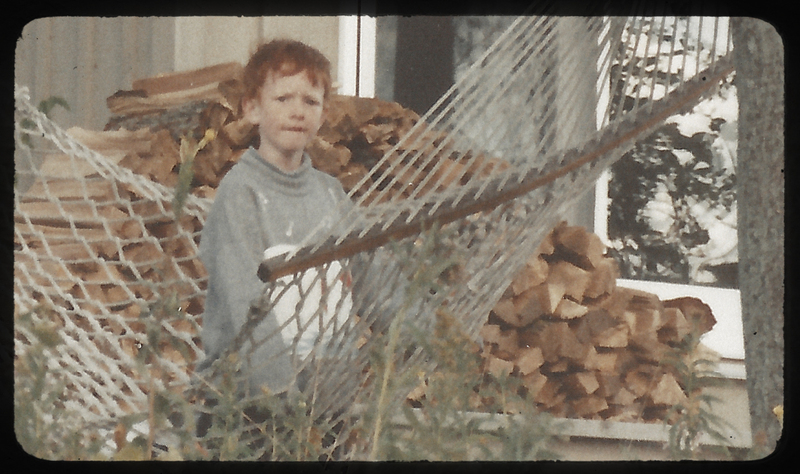 Our family life was centred around the fireplace. Childhood is something you can never return to, but there are moments – sights, smells and activities — that can take you back to those memories. Great story. 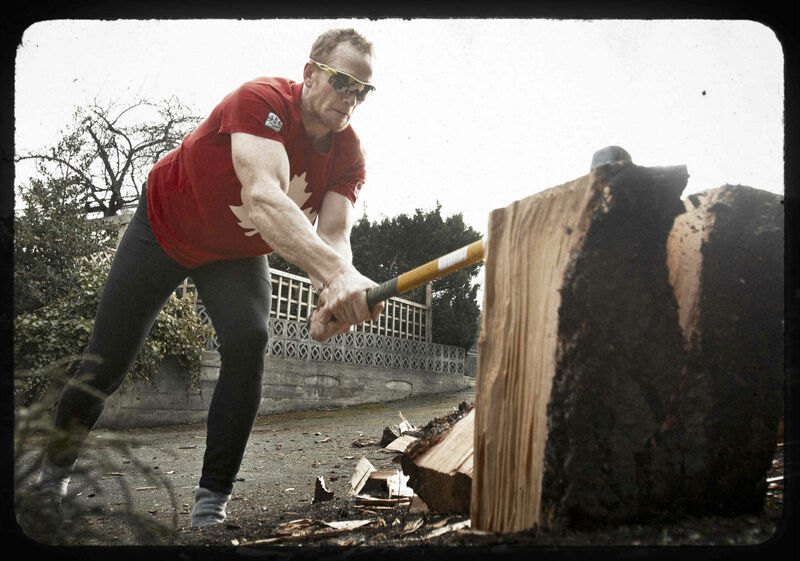 Reminds me of my woodchopping days, although our trees were much smaller. I’m glad to know both of you and hope you enjoy the individual paths you are on currently and in future. It’s a great ride. Especially when you get a chance to meet fantstic people along the way.